1) The facilitating and developing of non-Polish speaking ministries and churches within the territory of the Republic of Poland. 2) The organization of conferences, seminars, concerts, courses, clubs and other activities with the purpose of engaging non-Polish speakers, as well as Polish speakers. 3) Assist non-Polish speaking religious organizations to gain legitimate legal standing within the Republic of Poland. 4) To assist the Church of Christ (KCH w R.P.) to fulfill its mandate in whatever ways it can, and as deemed valid by the KCH w R.P. Director: Clint Kirby. Email him at clintinpoland@gmail.com. 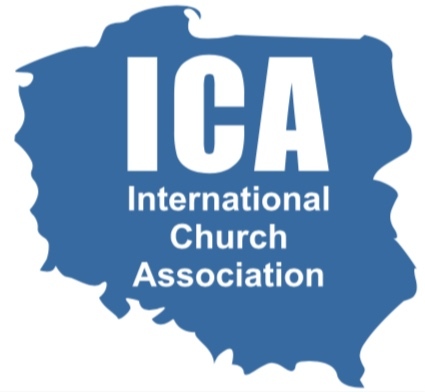 The International Christian Fellowship of Warsaw is an English-speaking church made up of people from over 30 nations, dozens of religious backgrounds, and many diverse cultures. We are committed to providing inspiring worship, relevant teaching, and authentic friendships. If you are looking for a church home while in Warsaw, or are just curious as to who we are, we invite you to come and join us. Our mission, as a church, is to lead English-speakers in Warsaw into a growing relationship with Jesus. City Church is a church for people who don't do church. What does that mean? It means that we are trying to make space for those who’ve been turned off by traditional expressions of religion and Christianity. This also means that our community will be diverse, messy and beautiful. Our community is based on mutual understanding that we are all broken people in a need of authentic and meaningful relationships. Jestesmy Wspólnota Chrzescijanska dla której wazne jest spotkanie z Bogiem oraz ludzmi w atmosferze łaski, prawdy i otwartosci. Pragniemy aby kazdy w Gdansku i okolicach mógl uslyszec oraz doswiadczyc ewangelii zbawienia i laski w Jezusie oraz przekazac ja innym. We are a multicultural english speaking church. We hope and dream we can be a spiritual home for everyone, no matter what kind of nationality, background and age. We hope we can build a fellowship where our congregation can feel welcome, seen and appreciated. We want to be a church that is in addition to other churches in Bialystok and together we can be coworkers so we are able to win more people for Christ. We are an English-speaking Evangelical Christian church in Gdansk, Poland, with Polish, Russian and Portuguese translation. We warmly invite you to worship Jesus with us.